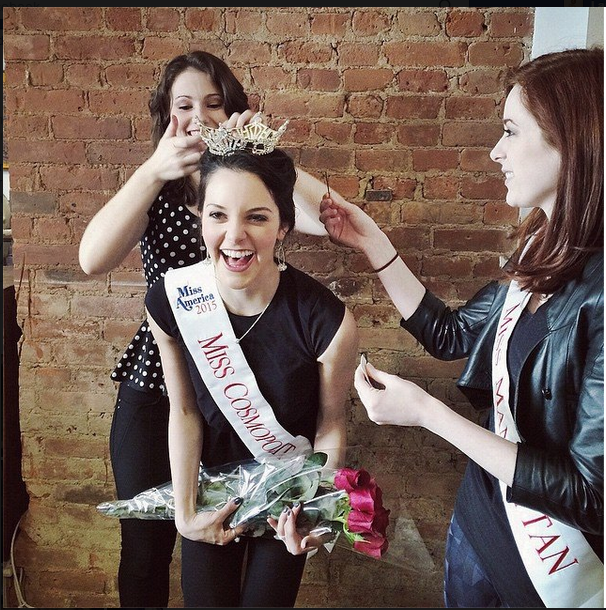 As the Miss New York Class of 2015 comes closer to completion, the ladies are preparing for the state competition getting closer to their sister queens. Pretty soon they will be coming together for the first time to support their little sisters at the Miss New York’s Outstanding Teen competition in Saratoga Springs. This in mind, it certainly put some dust in the air last week when Stephanie Meadowcroft, Miss Cosmopolitan 2014, made a very important announcement. Unfortunately, the state competition would interfere with an exciting, once-in-a-lifetime internship with a prestigious company. This was a difficult decision, and we have to respect her during this emotional time. But have no fear! That the true reason for runners up! If for some reason the winner is unable to fulfill her duty as Miss Cosmopolitan, the first runner up will assume the title and step into the spotlight. So, one week after Stephanie’s heart wrenching announcement, the Miss NY Local Organization made another, more exciting, announcement. Mackenzie Perpich won the Overall Talent Award at the pageant, and went home as first runner up. As of today, she is Miss Cosmopolitan 2015!